Are you a pensioner? Want to know where and how to apply for SSS pension loan? Interested to file for a loan or any other common retired member benefit? Find out today and make it an easy process tomorrow. I’ve got a lot of information waiting for senior citizens of the Philippines to learn more about pension and the benefits that a retired senior private company employee can avail from the Social Security System in the Philippines. I will reveal just the right process you have to undergo to claim and apply for pension and other related benefits you probably haven't heard about. On the other hand, if you want to know if what you are receiving as retirement pension is in the right computation, you might want to go check our post that reveals the latest salary bracket using the new SSS contribution table. listed below whatever loan you are looking for. Lending companies in the Philippines do sometimes offer loans that you didn’t even think was already being offered in branches near you. If you are a SSS pension receiving member and you are getting it on a regular basis, then you can use that to borrow what is called as SSS pension loan. All you have to do is to submit certain requirements. Uses for this type of loan is for emergency or immediate need and your pension is still a couple of weeks or a month away. With little or only a minimal loan interest, you can already get cash loan as fast as you can imagine that it will actually depend upon the available requirements you have. While some loan companies / lending agencies require the following documents to be submitted as listed while other lending institutions only require the listing below with the boundary line which includes the processing time or how long it will take for your SSS pension loan to get approved (approval period), processing fee, monthly interest rate, loanable amount and payment terms. If you are pensioner and you are looking for information regarding how to file or apply for the pension loan, here are a few details as listed in the basic documentary requirements you are going to need to pass to the lending company firm you want to apply for loan with. Please note that all information regarding the list is subject to change without prior notice and may differ depending upon the private lending firm you are applying for the loan. 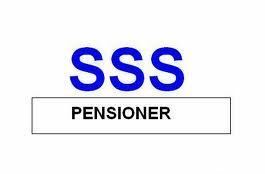 Despite big changes in how the Philippine government handled pensioners and their benefits, so far, changes came in time for upcoming new beneficiaries of the SSS member benefit called retirement pension. Below is the answer for frequently asked questions regarding application, processing and filing of the pension loan for senior retired citizens of the Philippines.